As winter well and truly sets in, the driving rain leaves me ever more unwilling to venture outside into the chill. Having been known to contract flu like symptoms in mid-January, I always find myself becoming more and more introverted as the days get darker in order to protect my laughably delicate immune system. This is until one day as I was grumbling about the worsening weather it was pointed out to me that perhaps if I wore a few more items of clothing I might ‘weather the weather’ a little better. Unfortunately their advice was well founded; I often have and still do venture into the rain in open toed heels and a thin – but super cute! – jacket, because in truth I am very vain and often only consider the great outdoors once I’m stood, shivering in it. Consequently I have had to consider more stylish, practical ways to ensure I stay warm, dry and flu free. My favourite solution: chunky boots! As Alexa Chung so often proves, a chunky, tom-boyish boot can give extra grit to even the cutest of outfits. My favourite model on the scene are a black leather pair with multiple gold buckles and a chunky mid-heel, which whenever I spot on someone else I get immediate shoe envy. From Jonak, Paris, the boots are reasonably priced and look built to last the winter which is a tick in the ‘Practical’ box. 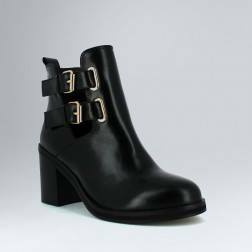 Style wise, the boots are very versatile, as the chunky style lends them to a chilled out day time look, and the heel and gold buckles make them perfect to pair with a little dress for the evening. However if you’re in the mood for something a little more sophisticated, look no further than Celine. 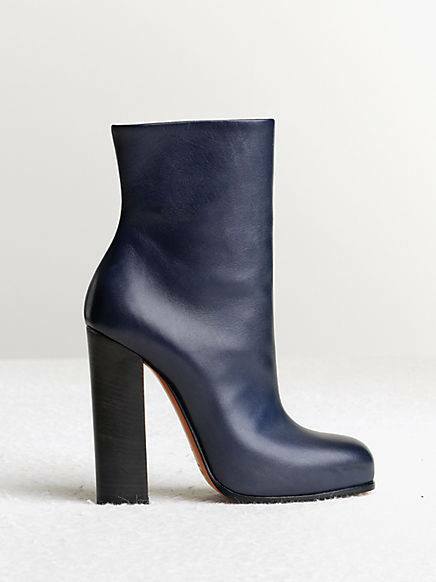 Their coloured calf-skin boots are elegant, sophisticated and so cute, coming in a variety of colours and with a tall chunky heel, these boots seamlessly move from city chic to evening glamour, and even add a pop of colour along the way. As we all know Christmas can leave our pockets feeling somewhat empty, and if this is the case then there is no need to despair; H&M’s boot collection is for me one of the best on the high street this season with a wide variety of styles and colours for a small price tag. My favourite pair look like just a simple pair of platform boots at first glance, but on closer inspection have a partially transparent heel, giving the boots glamour and intrigue. With so many options to choose from this winter, there is absolutely no way I will be falling ill over the festive period.